How do single organizations build their adaptive capacities? In recent years, many organizations have asked us to tailor our national and place-based programs to work with them individually. 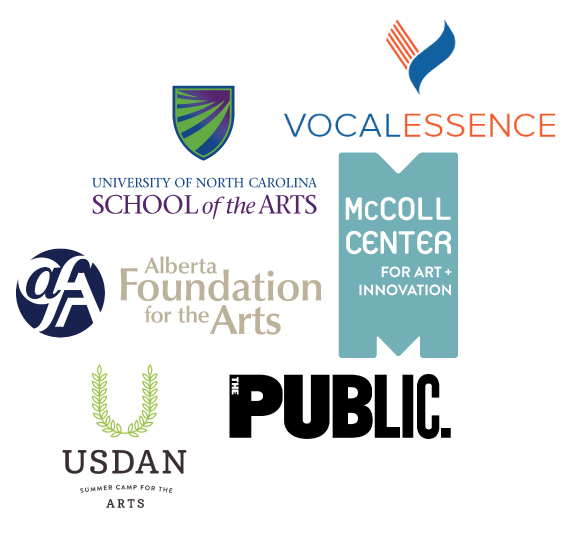 We've responded by creating three customized programs that have been taken up by many leading organizations in the arts and culture field. These programs engage a variety of organizational stakeholders in an innovation process, and are designed to support nonprofit organizations in growing and testing their adaptive capacity. Ranging from on-site organizational coaching, to virtual workshops, to extended processes like adaptive planning and leadership training, services are designed for different levels of engagement and a variety of stakeholders and tailored to each organization’s needs. From this menu of programs, you can pick the right fit to cultivate innovation and reduce resistance in your organization. For inquiries, contact Melissa Dibble, Managing Director, at mdibble@emcarts.org. This is a 4-month diagnostic program, with 3 on-site meetings led by an EmcArts coach, that works to explore complex challenges, identify ingrained assumptions, and examine your organization’s adaptive capacity. It is a rigorous platform to bring stakeholders together, unfreeze the status quo, and prepare for innovation. Modeled after our successful Innovation Labs for the Arts, Incubating Innovation is a 9- to 12-month “deep dive” that uses an action research approach and supports the design and prototyping of a significant organizational innovation in response to an identified complex challenge. A specially constructed Innovation Team, guided by an EmcArts process facilitator, oversees the process and coordinates an intensive retreat. This series of 2-hour interactive virtual workshops for single organizations introduces the fundamentals of adaptive change. Stakeholders will explore complex organizational challenges and build a shared understanding of innovation. This is an essential professional development opportunity to advance new thinking and innovation practices. We also conduct periodic public webinar series on a variety of topics related to innovation and adaptive change. Our next series is coming up in spring 2018. The wide variety of programs available range on a sliding scale, from $125 per person for a public webinar series up to $60,000 for the complete Adaptive Planning for Resilience program. Often, our participants’ local funders and donors are excited to support this innovative capacity-building work. Please get in touch with any questions!